The data confirms that many Orange County children are not developmentally on-track when they enter kindergarten. First 5 Orange County is using the kindergarten readiness data to educate parents and communities about how they can provide services and environments in which children, parents and caregivers can learn and thrive to foster healthy development. Years of research show that early school readiness is a critical and crucial piece to setting children on the best possible trajectory for success in school and in life. High-quality early developmental opportunities lay the foundation for children’s long-term success. 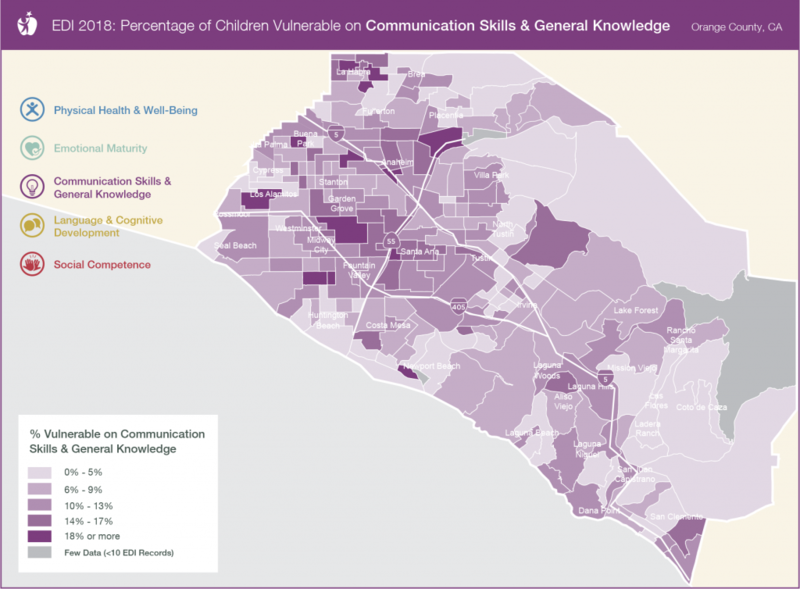 The following maps and tables explore children’s early development in Orange County using 2018 EDI data. The maps and tables are divided into five different regions in Orange County. 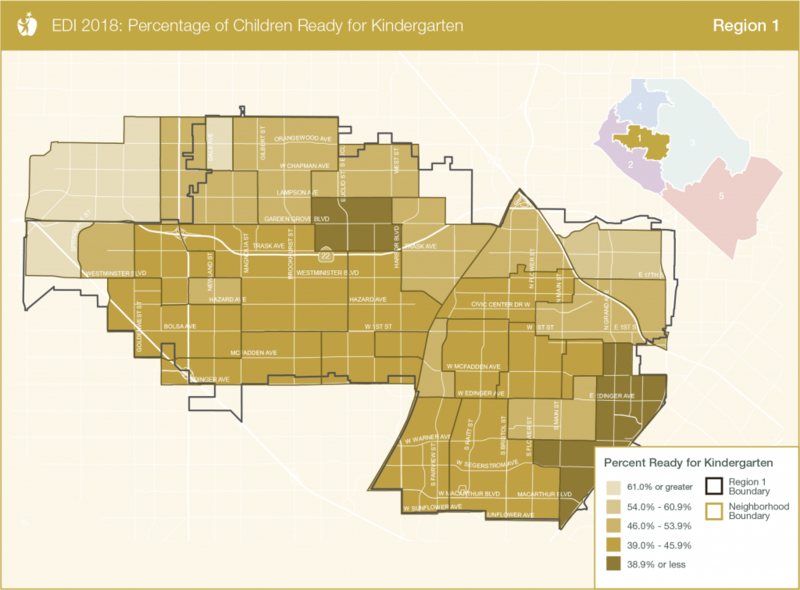 Several areas of interest are highlighted, to illustrate that there are many opportunities to dive deeper into the data and gain greater insight into the factors that contribute to the readiness of children. For more information or to request specific data, please contact: prop10@ocgov.com.